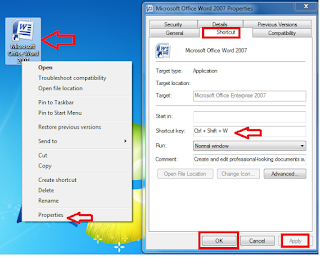 Ok… do you want to open Microsoft Word by using keyboard shortcut key.. 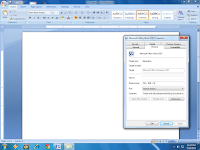 Many people work in MS Word, and they need to open word many time in a day. But many of them use mouse to open the program. 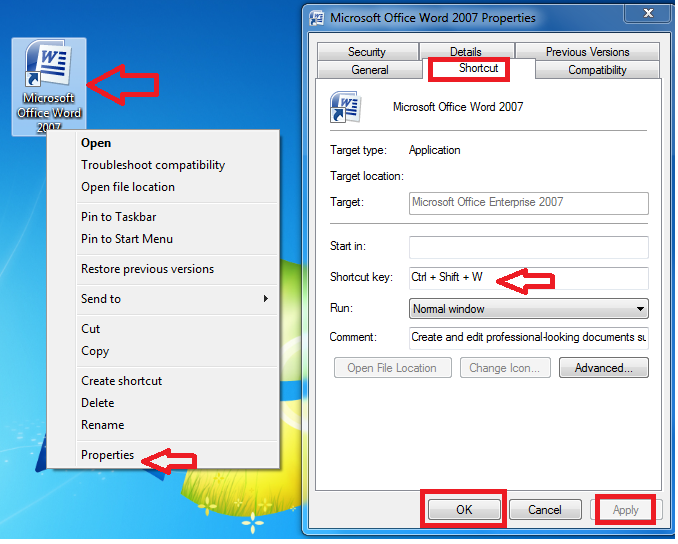 So today I will show you easy keyboard shortcut key for open MS Word program… Just follow these easy steps. 3. Now enter your shortcut key in shortcut key box, for ex. “Ctrl+Shift+W” click on “Apply-Ok”. 4. 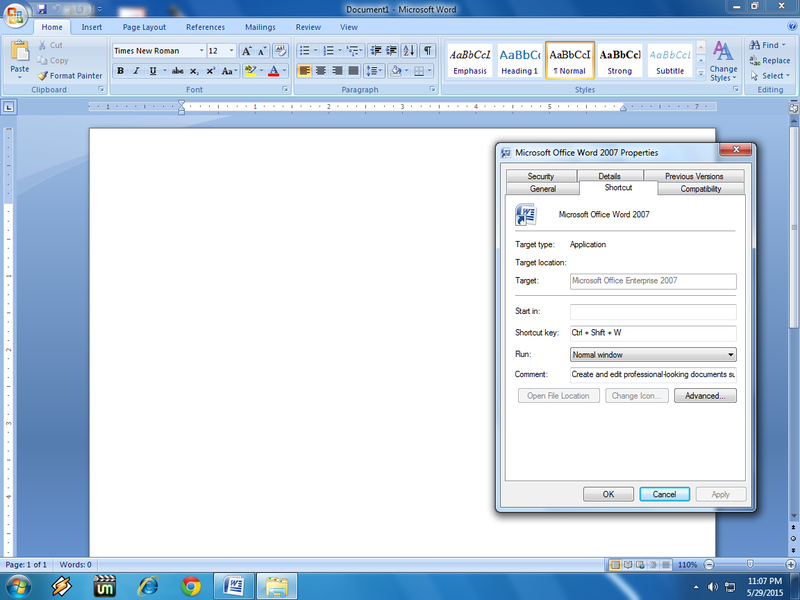 Press Ctrl+Shift+W MS word will be open. If you want to remove this shortcut key, just delete shortcut key in shortcut key box.